It’s not as scary as it sounds. 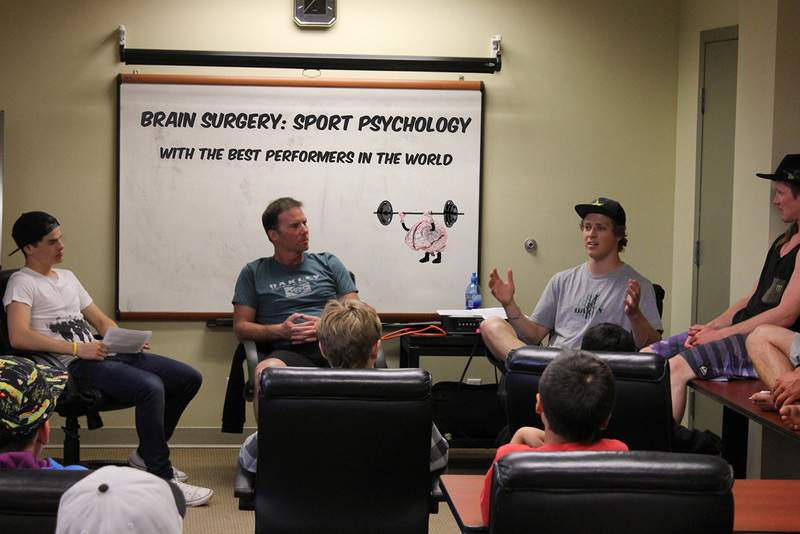 Two-time Olympian and Camp Director John Smart and fellow Olympians lead a mental training seminar that is designed to give you the mental edge when it comes to competition and performance. If you are serious about winning and performing at your best this is a must. It is not an opportunity that is available to many. Olympic Gold Medalists Mik Kingsbury and Joss Christensen with Olympians John Smart and James Woods.